Gracious CE colonial in pristine condition located in West Medford's desirable and historic Brooks Street location. Sun-splashed front to back living rm w/dual-sided fireplace and glass sliders that open to 4-season heated sun rm over looking private backyard. Updated and spacious eat-in-kitchen w/6-burner gas stove, granite counters, s/s appliances. 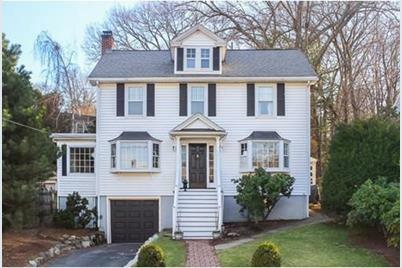 Additional features include hardwood floors throughout, newer baths, formal dining rm w/chair rail and built-in, newer heating system and roof, central air (2015), newly finished basement perfect for playroom, office, or additional living space, walkup attic, prof. landscaped, sprinkler system. Walking distance to Brooks Elementary School, downtown West Medford, Commuter Rail, Fells Reservation and conveniently located just 7 miles from downtown Boston. Don't miss this one! 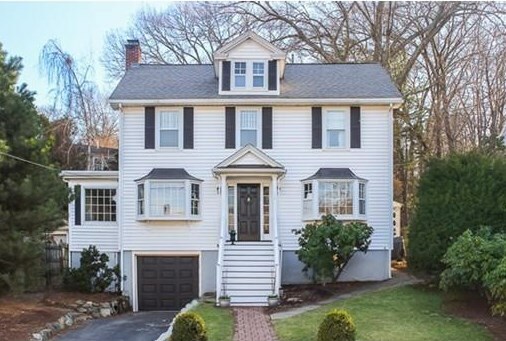 195 Brooks Street, Medford, MA 02155 (MLS# 71972791) is a Single Family property that was sold at $721,000 on May 23, 2016. Want to learn more about 195 Brooks Street? Do you have questions about finding other Single Family real estate for sale in West Medford? You can browse all West Medford real estate or contact a Coldwell Banker agent to request more information.